With the older God Eater games being ported to the PlayStation 4, Vita and PC in 2016, it was only a matter of time before the next part in the series would be released. 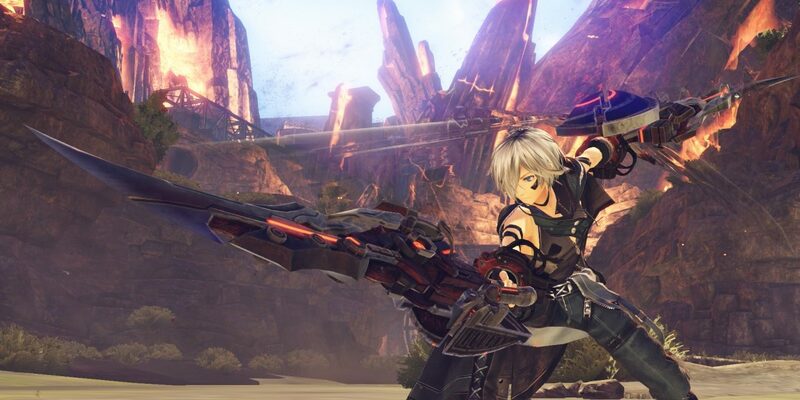 The God Eater franchise is known for being portable games, but after its port to PS4 and PC, we could anticipate a change in the series, blasting it all the way to this generation. While the game plays a bit like a Monster Hunter clone, we were pleasantly surprised by this newer take on the franchise. The war with the Aragami, which are giant monsters, has been raging on for a long time, reducing mankind to only small settlements called ports. These ports employ God Eaters, who can wield weapons that are able to withstand the massive force of the Aragami, but even so, it takes luck and skill to win a battle in the Ashlands against these powerful monsters. Many of the world’s ports use God Eaters as slaves or mere disposable puppets in order to combat the Aragami. This brings us to a mute protagonist, who is surrounded by other God Eaters in his/her port, who are striving to move up in the world, breaking free and starting a port of their own. When your port is overrun by an Ash-storm, you’ll get acquainted with Hilda, who also manages a port, but in a totally different fashion, treating God Eaters as her equal. Add the fact that she’s transporting a weapon against the Aragami that soon is to be linked to you, you might just be able to pull off something extraordinary. You’ll get small cutscenes with voiced dialogue after every few story missions, slowly expanding the plot and what is going on around you at the time. There are many unvoiced dialogues, which add a bit of story value, but you’re also able to skip a lot of conversations that don’t really add that much to the story experience of the game. God Eater 3 will not win any awards for being the prettiest game on the PlayStation 4, but all things considered, the game does look quite spiffy. The character models are nicely designed in their own anime-like style, and there’s a proper diversity when looking at the characters and the stronger enemies you’ll come across. Only the very static environments feel a bit bland, especially when you’re constantly dropped in the same arena-like stage, be it with a bit of different lighting. The game doesn’t have that many stages, and most of them are somewhat small in size. Nonetheless, the game does pull its punches when it comes to the enemies, your weapons and special effects, making other things a bit more forgivable. The sound design of the game is decent and the dual language option is very much appreciated as the English voice acting is a bit like one of those nineties anime shows with a hefty amount of overacting. The Japanese voices are so much more pleasant to listen to, but in the end it’s a matter of personal choice. The music stays on the background, between the sounds of you beating up enemies and the chatter that happens during the missions. God Eater 3 is an Action RPG in which you’ll go from one mission to another killing Aragami, who get significantly stronger as you progress through the ranked missions. While many missions eventually are optional, it’s best to play through them all to build up a reserve of money and materials. Overall the game’s goal is quite clear, namely kill all of the Aragami that you cross paths with, but the controls and extra mechanics are a bit much to take in, making it so that you’ll need to play the game for several hours before you get the hang of everything the game has to offer. The controls of the game are pretty much like a standard hack and slash game with RPG elements, albeit many buttons have a double function in combination with one of the triggers. This takes some time getting used to, as some allow you to use your God Arc powers, others allow you to block, others to devour enemies, and so on. 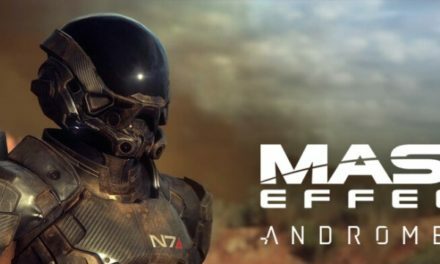 Luckily the game has a lot of tutorial missions, each handling another control aspect, allowing you to ease into the game. After a while things will start to feel natural, but we reckon this is not one of those games that you can play every couple of weeks, as you’ll have to start again from scratch in terms of memorizing all the game has to offer. Truth be told, the game reminds us somewhat of a Monster Hunter title, in which you fight massive monsters in small enclosed areas. The game allows you to equip a hefty amount of different oversized weapons, each of them being craftable or upgradeable. You’ll be able to switch between your melee weapon and your ranged weapon at any time, considering the bullets for your ranged weapon have to be recharged through melee combat. There’s a lot to experiment with, but if you wish to use different weapon sets, you’ll have to replay missions in order to get the proper amount of cash and materials for your items. Each of your party members also has skills you can invest in, and you can alter certain aspects here and there. You will also have skills that work between different party members, and you can also deal extra damage if you consume some of your enemy’s essence. These systems are all a lot more complex than we make them out to be, but we’re doing so to keep things understandable. God Eater 3 has serious difficulty curves, as some missions truly make you bite the dust, while others are over before you properly get in a hit or two. The same can be said for crafting, as it’s quite hard to find the proper items to craft new and better weapons, or to upgrade them afterwards. Nonetheless, it’s a given that some missions have to be replayed to either get stronger or to find the necessary crafting items. Also, you’ll notice that not everything is unlocked in terms of gameplay, even after nearly ten hours into the game. This is actually quite fun, as you’ll be learning new things when you get too comfortable, adding another challenge to the game again. You’ll notice that your character also gets ‘GAP’ points, which is something that you will be able to use later on. We truly enjoyed our God Eater 3 experience, even if it sometimes feels like a Monster Hunter clone, with faster combat and a bit less depth. The game’s mechanics are still interesting enough, allowing you to tinker with weapons, gear, skills and it throws new challenges your way right when you think you’ve mastered it all. 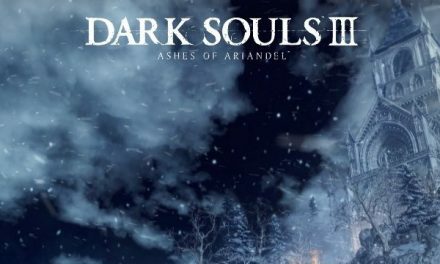 While the graphics may not always live up to the quality of a PlayStation 4 title and the difficulty gaps can throw you off balance, this game is certainly worth checking out if you’re into Action RPGs or simply a fan of the series.